Remember that one time in college, when you were drunk, and you decided to pour beer into Fido’s water bowl? Ok, so you probably don’t remember much of anything that night. Here’s the thing– too much alcohol can harm a 200 lb human, let alone a 20 lb dog. What started out asinnocent funcan turn deadly in an instant. Same goes with slipping a variety of foods to your furry friend. Sure, it’s tempting to share the things we love with our lovable sidekicks. But we need to think twice before allowing Fido to lick up and devour certain human foods that are too dangerous. Below is a list of drinks and foods from the Huffington Post known to kill dogs and some helplines to call if there’s ever a pet emergency. 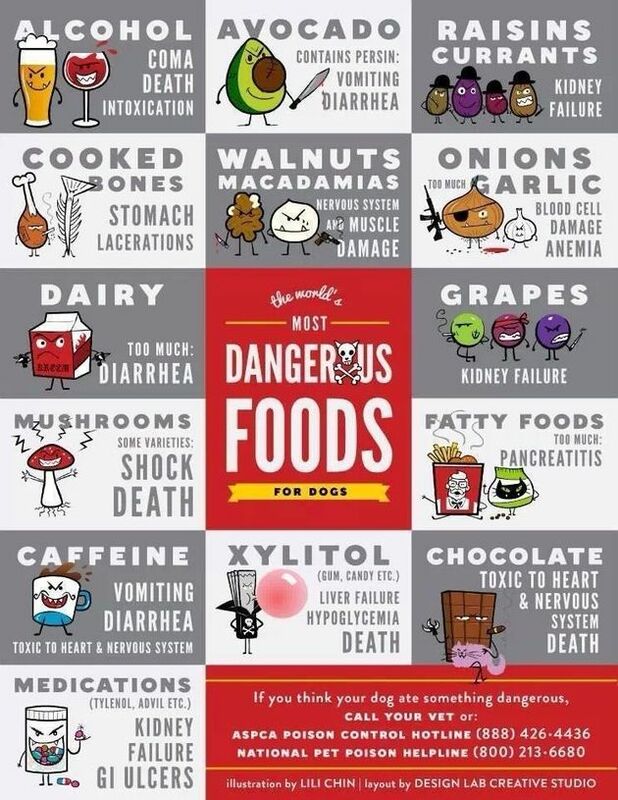 Study and memorize this list of dangerous foods so yourFido stays safe and happy (and barks, and wags, and runs circles around you for a long time).